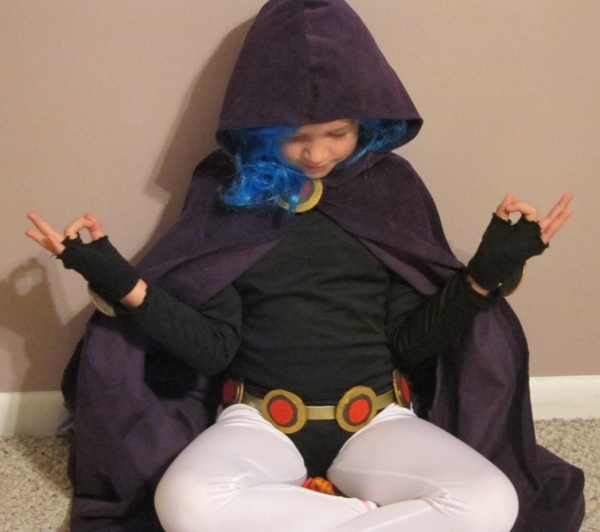 My oldest daughter is Raven from the Teen Titans this Halloween. We’ve been working on various costume parts for the past few weeks. I dipped into the hobby bag of tricks to create the jeweled medallions for Raven’s belt and cloak. 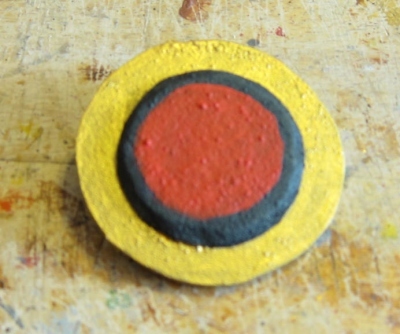 The Medallions are 2 layers of 3mm Depron foam with a coat of Foam Coat from Hot Wire Foam Factory. 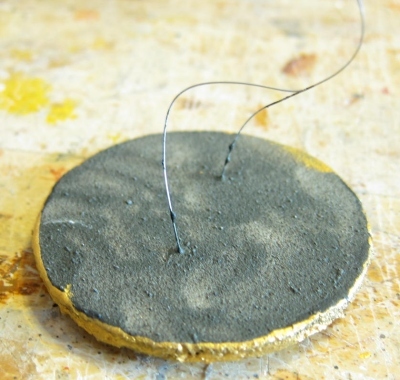 Before the layers were attached, fine gauge wire was inserted to provide a means of anchoring the medallion to the costume. 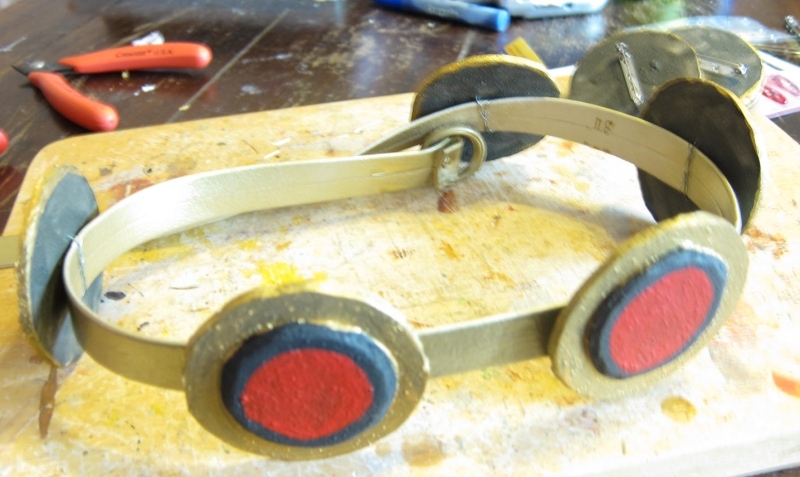 The waist chain is a 99 cent vinyl belt spray painted gold, and the hand/throat attachments are made using fabric pins. Now I get to see if my creation can hold up to a day at school followed by some enthusiastic trick or treating. As an aside – does anyone else find themselves using hobby skills for all sorts of projects? Are hobby skills just that useful, or is a simple case of using the skills we already have?